DETROIT -- Continental Automotive Systems plans to cut about 10 percent of its North American work force over the next few months. 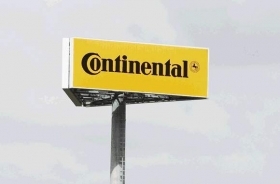 Continental employs about 16,000 people in North America, so about 1,600 jobs will be cut. The company is eliminating positions related to the restructuring of its powertrain components division that followed its merger with rival Siemens VDO last year. Some of the cuts also are in response to the auto industry downturn, and the company is reducing jobs it budgeted in 2009, said company spokeswoman Kathryn Blackwell. A top Continental executive also said that the German supplier no longer plans to sell its fuel supply business. Continental had planned to sell the business, which makes modules of pumps and other components that go inside fuel tanks. But at the end of last month, the board decided to keep the business, said Samir Salman, CEO of Continentals NAFTA region. The decision was based in part on indications from union work councils that they would be flexible in negotiations over work rules, he said. He declined to give further details because the negotiations have not concluded. He added that tight credit-market conditions also made it difficult for potential buyers to line up financing. Continental supplies electronic brakes, stability management systems, tires, foundation brakes, chassis systems, safety system electronics, telematics, driver systems, powertrain electronics and interior modules. The company posted an estimated $5.2 billion in North American revenue in its 2007 fiscal year. Parent company Continental AG is based in Hanover, Germany, and ranks No. 4 on the Automotive News list of the top 100 global suppliers with estimated worldwide sales to automakers of $25.0 billion in fiscal 2007.